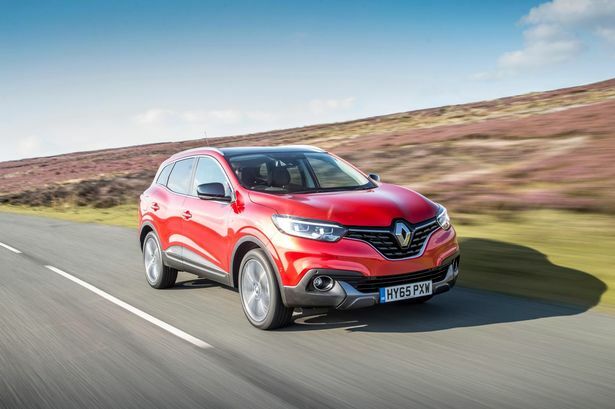 The Renault Kadjar is a well-equipped, good looking and very spacious motor. I don&apos;t think I have ever driven a car without using any fuel – but in the all new Renault Kadjar I did. Or at least that’s what the car told me. After covering 194 miles the onboard computer informed me that I had driven 27 of them without fuel consumption and, no, I hadn’t been coasting. What it actually meant was the number of miles saved by careful driving, which Renault says corresponds to driving without fuel consumption. It’s an interesting argument, but whichever way you look at it driving the Kadjar sensibly had improved my fuel consumption by almost 14 per cent. The Kadjar is Renault’s latest crossover vehicle, which looks as if it should have four-wheel-drive rather than two but is actually available with a choice of either. In many ways it looks like a larger version of the French company’s popular Captur model, although it’s far more muscular, far more chunky and far more spacious. In fact its proportions are nearer to the best selling crossover the Nissan Qashqai, a car with which – under the skin – it shares numerous parts. Sampling the top of the range Signature Nav version I was impressed by just how much you got for your money. Features on my test car included panoramic sunshine roof, satellite navigation, keyless entry and ignition, leather seats – heated in the front – and a superb sound system with eight Bose speakers. The car is also packed with a host of safety devices including automatic main/dipped beam, under steer and stability control as well as blind spot indicator in the side mirrors. In fact the car has scored the maximum five stars in the Euro NCAP safety ratings. The tall stance of the Kadjar means there is a particularly spacious feeling to the interior and it easily accommodates five people with space to spare. The stylish dashboard is dominated by a single dial in front of the driver containing both the speedometer and rev counter with the former taking the form of a digital readout in the centre encircled by the latter. And if there is an abundance of space for passengers there is an equally generous amount for luggage, amounting to some 472 litres with the rear seatbacks up and a whopping 1,478 with them down. The flexible boot floor means you can have a double decker boot or use one of the false floor sections in a vertical position to compartmentalise the boot, a simple but useful idea. On the road the beefy 1.6-litre diesel gives a good account of itself with plenty of pulling power and lively acceleration. Under normal cruising conditions the car is quiet and refined although I did find the engine a little on the noisy side under hard acceleration. Despite its high stance the Kadjar can corner with the best of them and for its size is impressively nimble. A pin sharp colour rear view camera whose screen is overlaid with tramlines to show where you are heading makes light work – in conjunction with parking sensors – of reversing. In fact its proportions are nearer to the best selling crossover the Nissan Qashqai, a car with which – under the skin – it shares numerous parts. Sampling the top of the range Signature Nav version I was impressed by just how much you got for your money. Features on my test car included panoramic sunshine roof, satellite navigation, The Captur has blazed the crossover trail for Renault but there is little doubt the Kadjar will be equally successful for buyers looking for a larger model, particularly as, to my eye, it is far better looking than the Qashqai. Mechanical: 1,598cc, 130 bhp diesel engine driving front wheels via 6-speed manual gearbox.